Did you know that many of our sweet, warm culinary herbs come from trees? Herbs like cinnamon, cloves, allspice and star anise all come from trees. 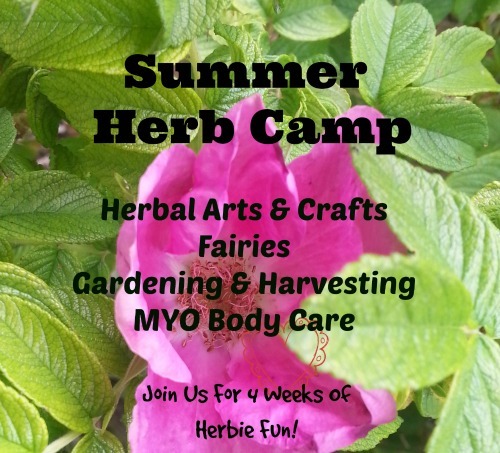 We are studying trees and herbs from trees at preschool this month so naturally we are playing around with these well-loved and well-known herbs. We have a lush happy little patch of violets (Viola odorata) outside at the preschool. I noticed them last week quietly poking their deep purple heads through the soil and smiling with a delightful fragrance. I knew that we had to get outside and be with the violets. Violet are often one of the first flowers to grace us as the sun makes its way closer to us each spring and they are truly a treasure to behold. So what better way to celebrate this first day of spring than by smelling, harvesting and eating violets? Hence today we made our way to the violet patch. I taught the kids a little song my teacher taught me, a song for the violets. A song to say we are here and we are friends. To say thank you to the violets for giving away to us. And we marched out to the patch singing and excited! The kids did a wonderful job being careful with the plants and picking just the flowers. 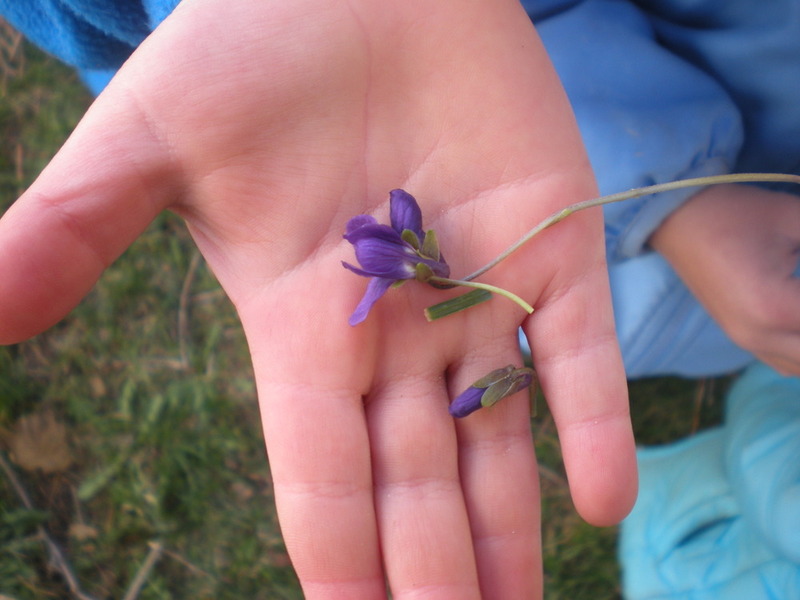 As we all tried the flowers it was delightful to watch little faces light up with the amazing taste of violets. The children loved them. We talked about how the violet's are good for us and they taste good too! 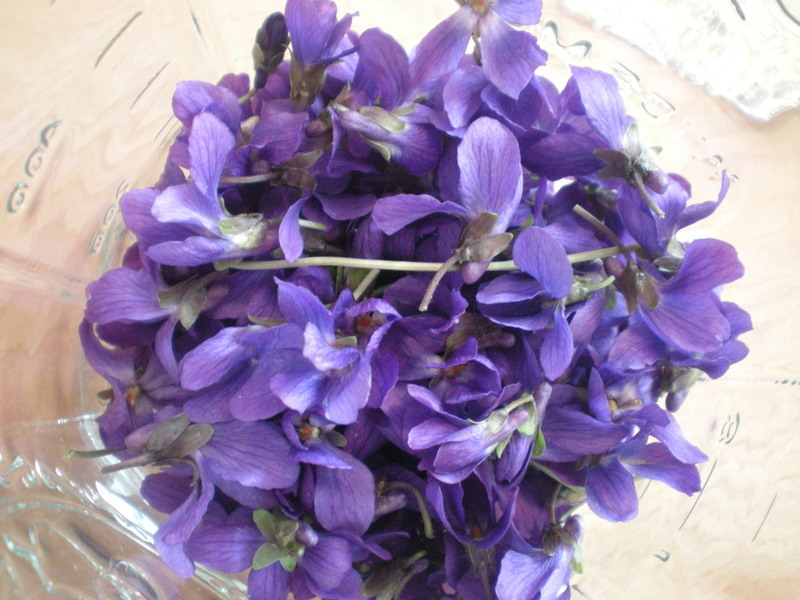 After gathering a good amount we took the violets inside, washed and dried them. We put them in a jar. Then we covered them with agave. I usually make violet honey but the preschool is vegan so we are trying using agave this year. We will see how it goes! So far so good. I plan to keep the violets infusing in the agave for a good week or so. Then the agave and violets too will both go into a jars, one for each child to take home and enjoy! 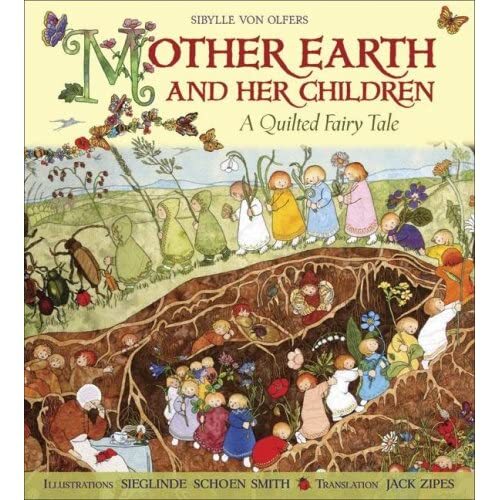 We also read Mother Earth and Her Children by Sibylle Von Olfers. This is an amazingly beautiful book about the coming of spring. It is based off a gorgeous quilt made by Sieglinde Schoen-Smith. There is a little Violet child in the book and we had fun hunting for her and her violet plant. The kids were able to recognized the flower and the leaves in the book! How are you celebrating spring? It is such a wonderful time of year, so full of energy and life! 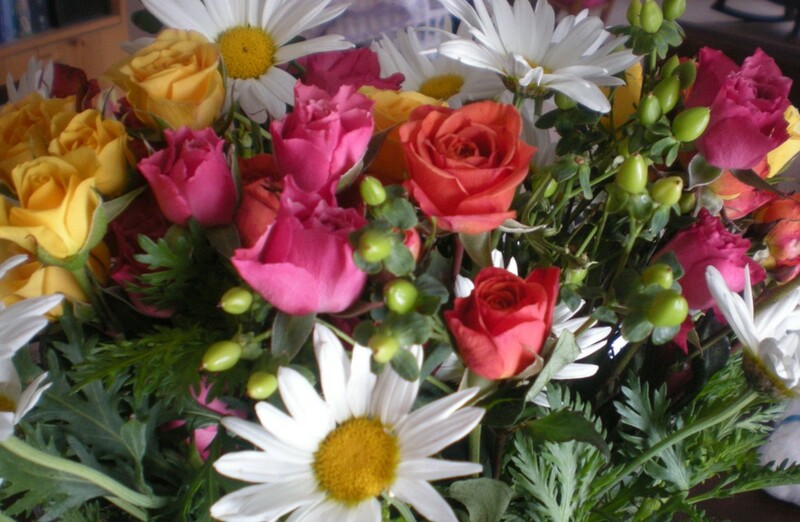 Blessings for a beautiful spring! This is a fun way to incorporate a bit of science into the day, fun because it is like magic! Here are complete instructions for a lesson plan at school or some scientific magic at home!